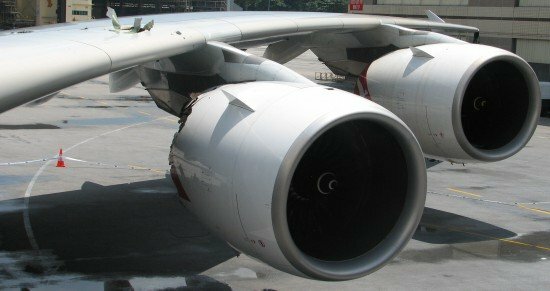 The Australian Transport Safety Bureau (ATSB) released the final report of its investigation into the uncontained engine failure involving a Qantas Airbus A380 over Batam Island, Indonesia on 4 November 2010. The accident occurred shortly after the aircraft took off from Singapore. At about 7,000 ft above Batam Island, one of the aircraft’s Rolls-Royce Trent 900 engines failed, sending debris into the aircraft’s left wing and fuselage, and onto Batam Island. There was significant damage to the aircraft’s electrical, hydraulic and other systems. The crew managed the multitude of system failures before safely returning and landing the aircraft. The ATSB found that the engine failure was the result of a fatigue crack in an oil feed pipe. The crack allowed the release of oil that resulted in an internal oil fire. The oil fire led to one of the engine’s turbine discs separating from the drive shaft. The disc then over-accelerated and broke apart, bursting through the engine casing and releasing other high energy debris. The ATSB also found that the oil pipe, together with a number of similar pipes in other engines, had been made with a thin wall section and did not comply with the design specifications. The thin wall substantially increased the likelihood of fatigue cracking. As part of its final report, the ATSB issued recommendations to the European and US regulators so that lessons learned from this accident would be incorporated into aircraft certification advisory material designed to minimise hazards from uncontained engine failures. As a result of the ATSB’s investigation, regulatory authorities and operators around the world took steps to ensure that engines with non-conforming oil feed stub pipes were identified and managed appropriately. Rolls-Royce also made changes to their quality assurance system to improve the way they manage non-conforming parts.